More than 38 million men, women and children in the United States suffer with chronic migraines. Traveling with migraines can put a real damper on your trip. Routine is a large part of every day survival for those who get migraines. Have a headache-free trip with these tips for traveling with headaches. 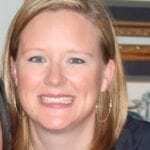 Gulf Coast TravelingMom suffers with chronic migraines and shares her 8 Tips for Avoiding Migraines When You Travel. I have suffered with chronic migraine headaches for the last ten years. I’ve tried acupuncture, chiropractic, therapeutic massage, Botox injections, physical therapy, nerve blocks, along with a myriad of preventive prescription medications. If there’s a treatment, you can bet I’ve tried it. Living with migraines is a way of life for me. I love to travel. I would live out of a suitcase if I could. Stress, a huge migraine trigger, is often associated with travel. 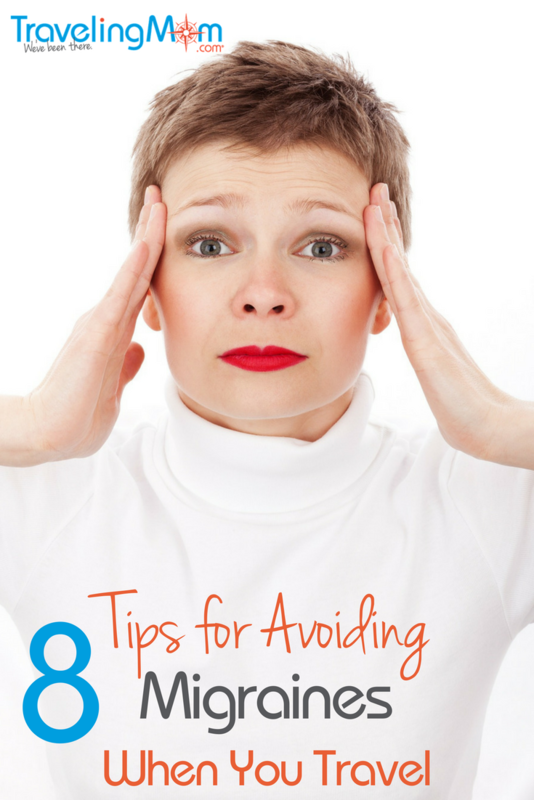 I have learned over the years how to prevent traveling with migraines. Here are 8 simple tips to help you prevent traveling with headaches the next time you hit the road. As a travel agent, I’m accustomed to planning and organizing every little travel detail for my clients. Having a travel itinerary is key for avoiding stress, which is a common migraine trigger. The Erin Condren Life Planner can help plan ahead to avoid traveling with migraines. Photo Credit: Caroline Knowles, Gulf Coast TravelingMom. 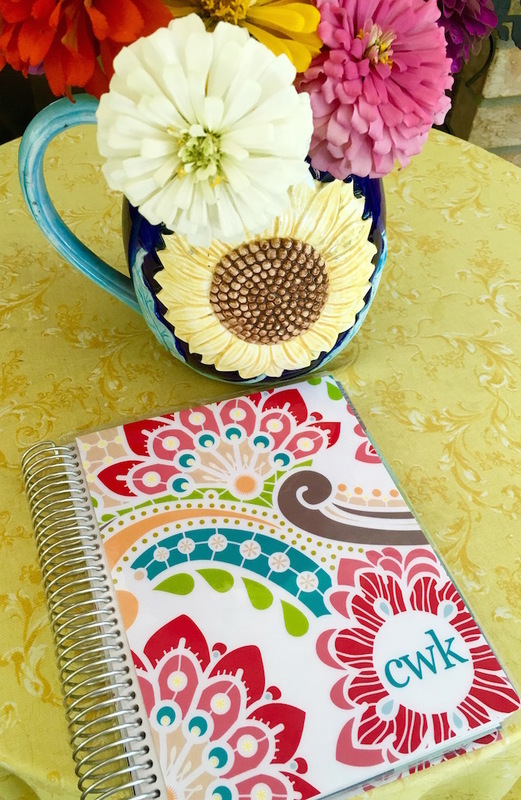 I always travel with my Erin Condren LifePlanner where all confirmation numbers, hotel details, and daily agendas are neatly organized. If you aren’t familiar with Erin Condren, familiarize yourself. The company has an entire line of travel products, including a snap-in travel dashboard and travel checklist. Those of us Type A personalities cannot live without it. Carrying all travel details together in one place will help to alleviate unnecessary stress. If you’re planning a road trip with the kiddos, make sure to bring along activities to keep them entertained. This can prevent the familiar cry “He’s looking at me,” or “She touched me.” No one can keep their sanity with hours of this chatter. Stock your vehicle with DVDs, iPads, crayons and coloring books to keep the kids occupied. Most noteworthy, make sure to pack all of your medications. I find it helpful to use a daily pill box to organize my medications in one place. You know, the kind your grandparents use. If you suffer from migraines, you understand just how many meds we have to keep on hand. One way I avoid cabin pressure issues is by chewing peppermint gum on flights. I prefer peelu gum that can be found in most health food stores. This gum has natural peppermint flavor and is sweetened with Xylitol. It is free from aspartame and other ingredients that can trigger headaches. If I’m taking a cruise or visiting a theme park, I always wear a prescription motion sickness patch to avoid nausea. On a recent visit to Universal Orlando, I was able to ride all of the 3D attractions thanks to the little patch behind my ear. Score! TravelingMom Tip: Wear a patch to the IMAX. Mission cooling towels are great for summer travel. This towel will cool you down when the heat is just too much. Simply get it wet, snap to activate and enjoy. 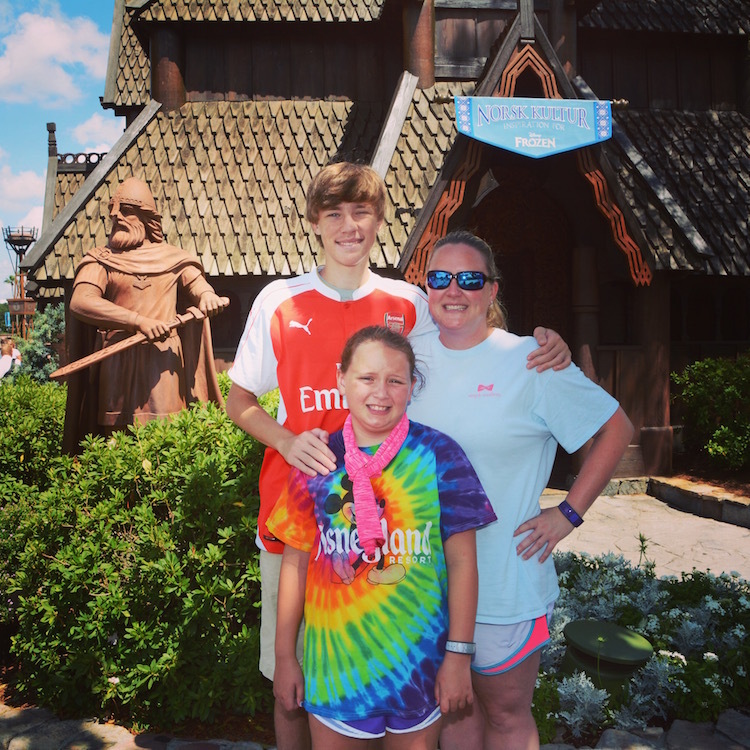 I spent 11 days in Orlando (in June – HOT!) and survived the heat with this towel wrapped around my neck (when my daughter didn’t steal it). The Mission Towel is a life saver when you’re traveling in hot places. Photo Credit: Caroline Knowles, Gulf Coast TravelingMom. My survival kit goes with me everywhere, literally. This small bag is my lifeline. 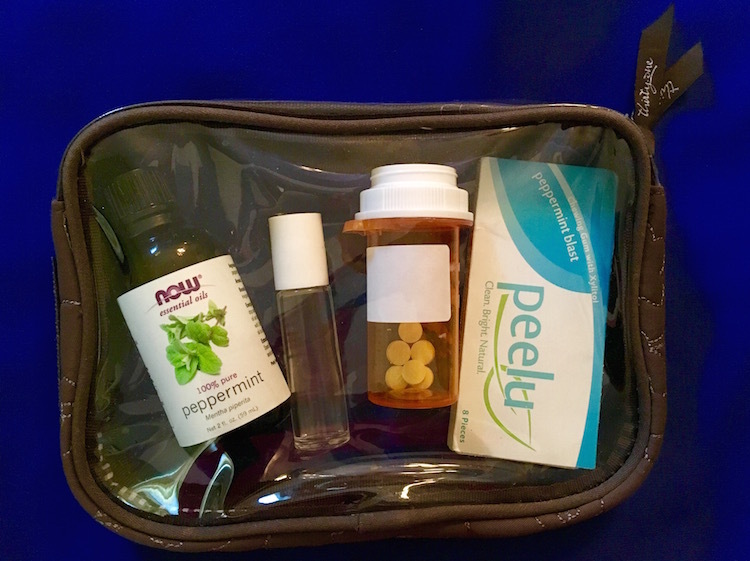 Here I keep everything I need when a migraine starts: peppermint oil, peppermint gum, prescription medication and ginger candy. Traveling with migraines means I always bring along a headache survival kit. Photo Credit: Caroline Knowles, Gulf Coast TravelingMom. Peppermint is a lifesaver for me. I swear by it. I use peppermint oil on my forehead, temples and neck whenever I have a migraine. Peppermint oil helps with nausea and has a cooling effect that can help ease the pain. If peppermint is too strong for your liking, try lavender oil. 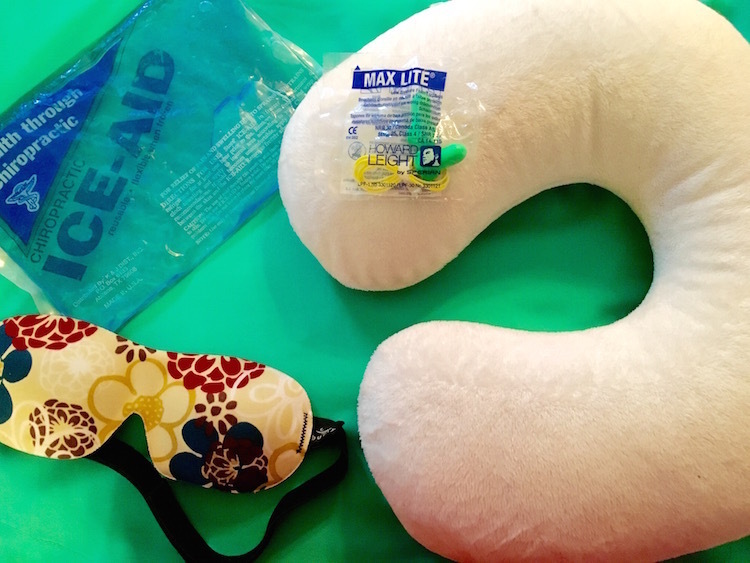 When I travel, I bring along extra items such as earplugs, my Tempur-Pedic travel neck pillow, a sleep mask, and an ice pack. Always have a pair of sunglasses as excessive sunlight will prompt a headache. Making sure you get enough sleep is key for traveling with headaches. Photo Credit: Caroline Knowles, Gulf Coast TravelingMom. Staying properly hydrated is one of the easiest ways to ward off migraines. Make sure to drink lots water and electrolytes (found in Gatorade and Powerade products). Seriously, you cannot drink enough. Some experts suspect that a loss of electrolytes can cause the nerves in the brain to produce pain signals. Try to drink at least 64 ounces of water every day. Often when we travel, our sleep patterns are interrupted with jetlag and time zone changes. This can be particularly dangerous for a migraineur, as lack of sleep is yet another trigger. Always pack earplugs as you never know what kind of distractions there will be in your hotel. My husband snores so loudly he can shake pictures off the wall, y’all. I sleep with earplugs every night as they help me maintain a deeper sleep. Make certain you pack sleep aid medication if you depend on it. Another item I tote along when traveling is a portable fan that helps drown out background noise when I sleep. TravelingMom Tip: Download a white noise app to your phone or iPad. Sadly, foods can also be triggers. Many migraine sufferers have to avoid chocolate, artificial sweeteners, nitrates, spices, wine, cheese, citrus, soy and nuts. Always be aware of your trigger foods. I haven’t had a diet soda in years and have to avoid all soy products. Researching the area where you are traveling will help you find options that will work with your diet. I like to print restaurant menus so that I know where I can and cannot eat. Living with migraine headaches is a daily struggle. If travel is a way of life for you as it is for me, hopefully these tips will help the next time you hit the road. The Boy Scouts said it best: Be Prepared! This is great advice. I once missed breakfast with the princesses at Disney due to a migraine. Some of these things I already do, such as the peppermint oil. I actually put it on the roof of my mouth. Others I’m going to implement in my daily life, like the gum. Thanks for the ideas! Thank you for sharing personal details as valuable tips. Patch to the Inax movie is brilliant. In Canada we have a store called Saje Wellness. They sell nebulizers that are small enough to travel with. Don’t leave home without mine. I agree peppermint helps a lot! I love the idea of “headache survival kit”. When I was a kid I used to suffer from an awful migraine. The headache was so strong that I couldn’t stand on my feet. The only thing that used to help me then was to pull the blanket over my head and to sleep for 2-3 hours. I still don’t know what causes this headache but now I cannot afford to be absent of work or to reject a business trip.